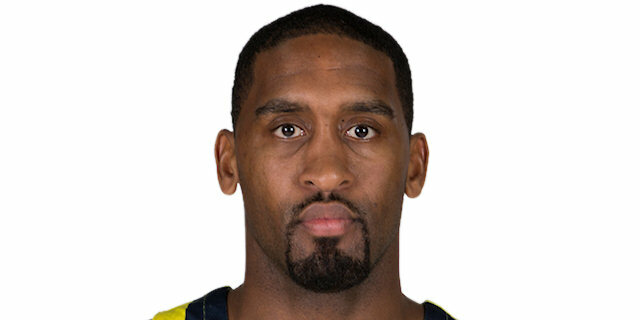 Nicolo Melli’s tip-in as time expired in overtime lifted Fenerbahce Dogus Istanbul to a dramatic 93-95 decision over CSKA Moscow in the Russian capital on Friday. 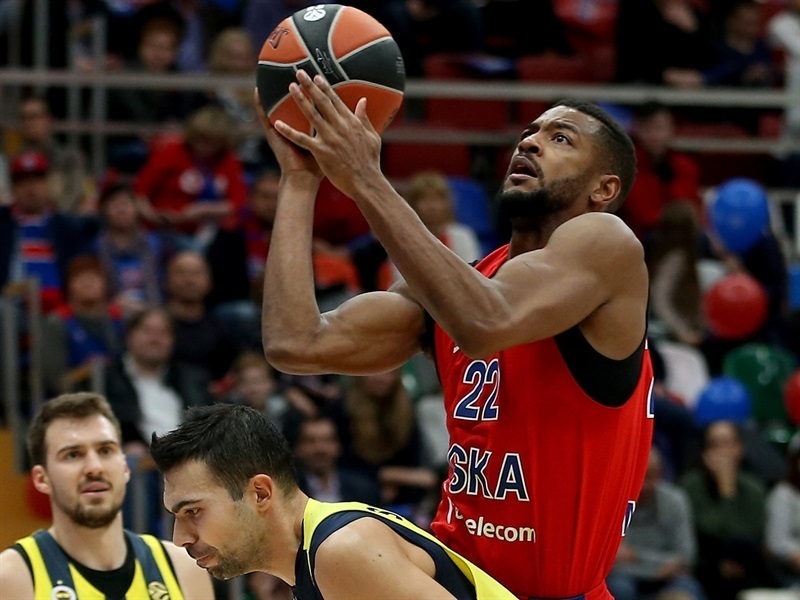 In an exciting game between the last two Turkish Airlines EuroLeague champions that had just about everything, Fenerbahce raised its record to 5-3, while CSKA dropped to 6-2. 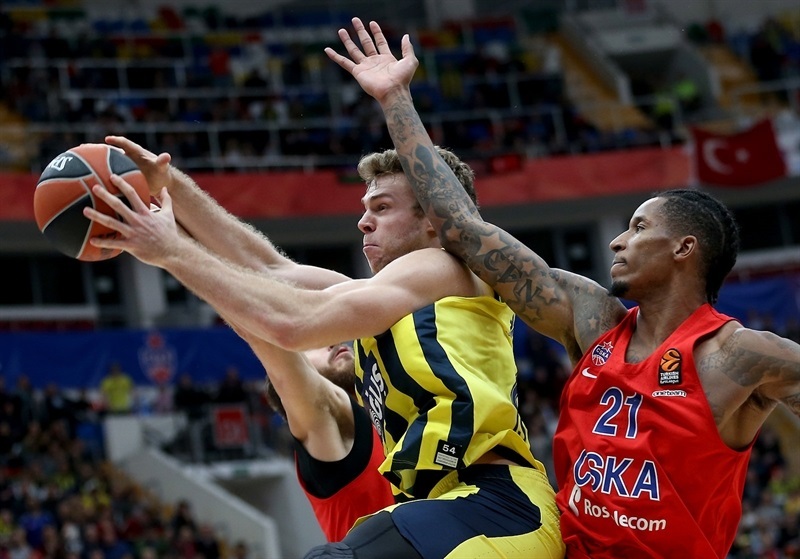 It marked the third time in their last four meetings that these two sides went into overtime, and the second time in a row that Fenerbahce beat CSKA on the road after an extra session, this time, snapping CSKA’s 14-game home winning streak in the process. 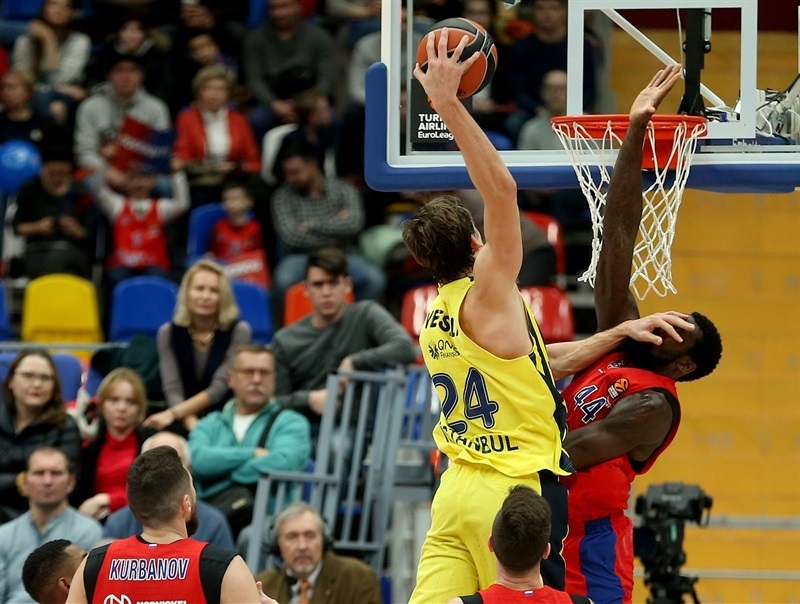 Led by Jan Vesely, Fenerbahce opened an 18-point lead in the second quarter, but CSKA used an 11-0 run to rally before halftime and lead after it. 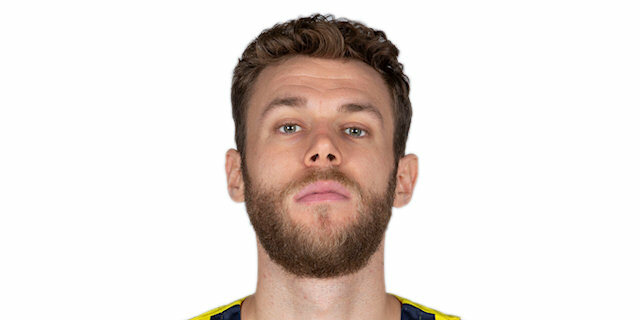 Fenerbahce regained a 75-82 lead in penultimate minute of the regulation, but Sergio Rodriguez's four-point play with 15 seconds left ultimately led to overtime, where another tie was broken on a miraculous tip-in by Melli as the buzzer sounded. 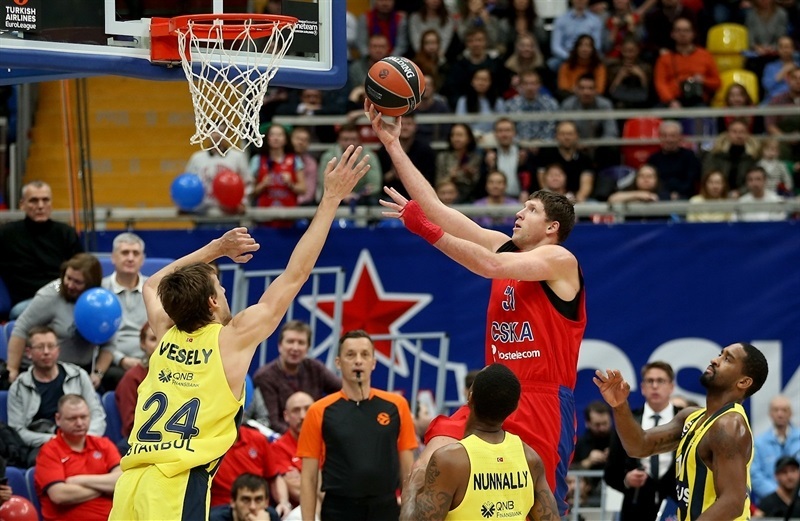 Vesely scored a career-high 31 points for the winners. Wanamaker added 13 points and 9 assists while Melli finished with 11 points, all in the fourth quarter and overtime. 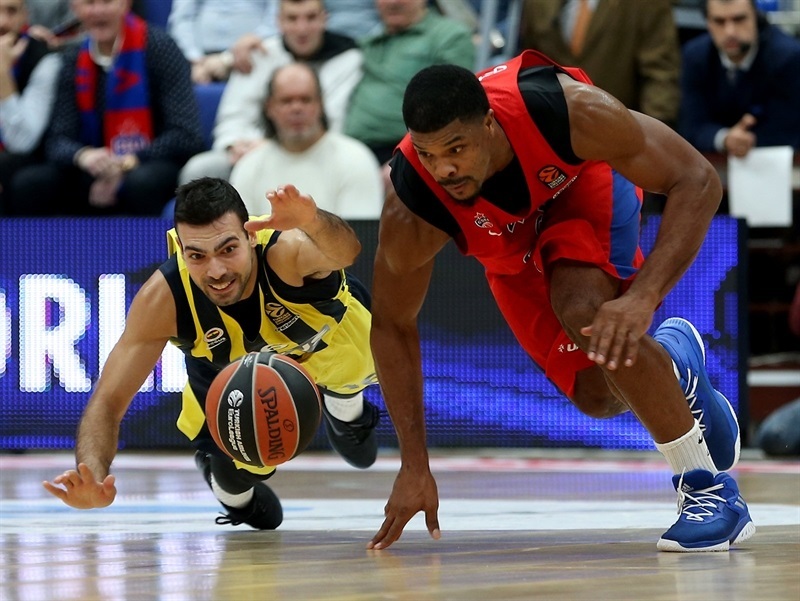 Kostas Sloukas and Luigi Datome had 10 points each, while Jason Thompson pulled down 12 rebounds. 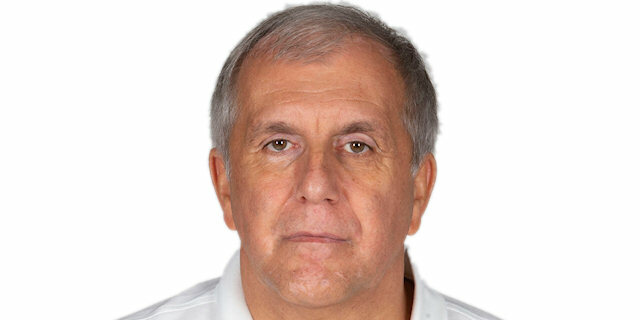 Rodriguez had 20 points to pace CSKA. De Colo scored 18, while Cory Higgins and Kyle Hines scored 17 apiece in defeat. Higgins hit a pair of triples in the first 3 minutes for CSKA, opening and 8-5 lead, but Vesely started dominating from close range early on. Thompson joined in, sinking couple of mid-range jumpers, then dishing it for Vesely's layup at 12-17. Marko Guduric also fed Vesely inside, who scored 10 of the first 19 Fenerbahce points. Another jumper from Thompson, a three-point play by Vesely, and James Nunnally's corner three-pointer made it 16-27 after 10 minutes. Vesely had 13 points in the first quarter, then had 2 huge dunks early in the second, helping the visitors open a 21-39 lead. However, Hines answered with a huge dunk over Vesely, igniting the hosts. Rodriguez fed Will Clyburn on a fastbreak, followed by Rodriguez hitting a three-pointer to make it 30-39. A driving layup from Higgins capped an 11-0 run, and after Sloukas and Rodriguez traded triples, a fastbreak by Clyburn cut the difference to 41-46 after a wild first half. To open the third quarter, Hines had a steal and a breakaway dunk that kept CSKA's momentum alive. Higgins drove to the rim and De Colo nailed a three-pointer to give the hosts 49-48 lead. Datome answered with a three-pointer, but Hines and Clyburn scored from close range to give CSKA 54-51 lead. 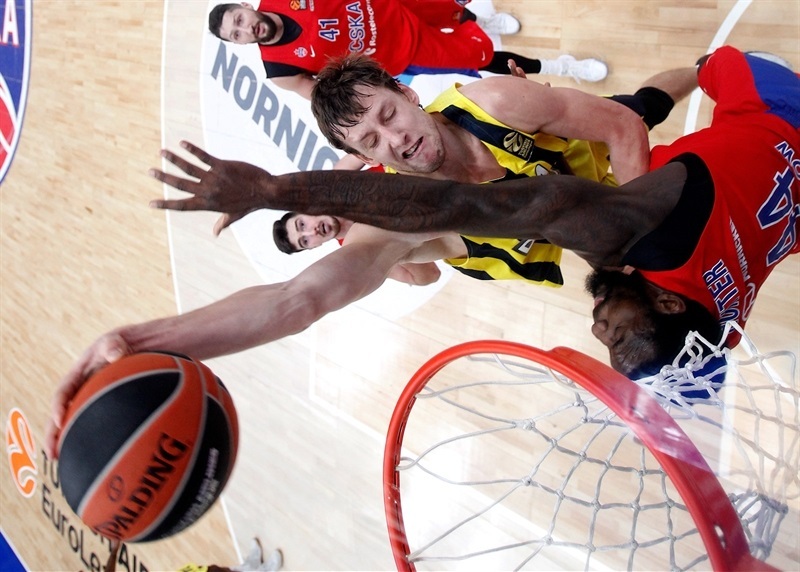 Vesely had another dunk and a jumper to stop the bleeding, and despite a triple by Clyburn, a three-pointer from Sloukas put Fenerbahce in front 59-61. 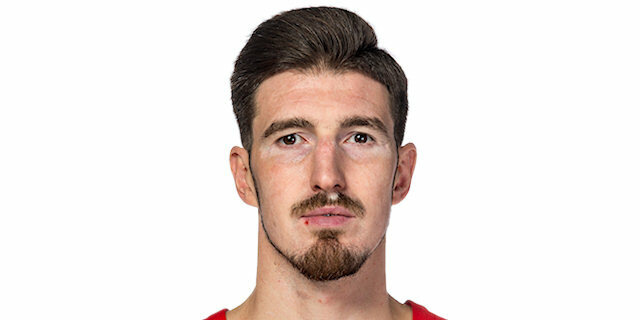 However, De Colo nailed a tough jumper that gave CSKA 63-61 going into the final 10 minutes, and Rodriguez hit from downtown to open a 66-61 advantage early in the fourth. Fenerbahce countered with consecutive triples from Melli and Marko Guduric, and a reverse layup by Melli made it 69-71, forcing a CSKA timeout. 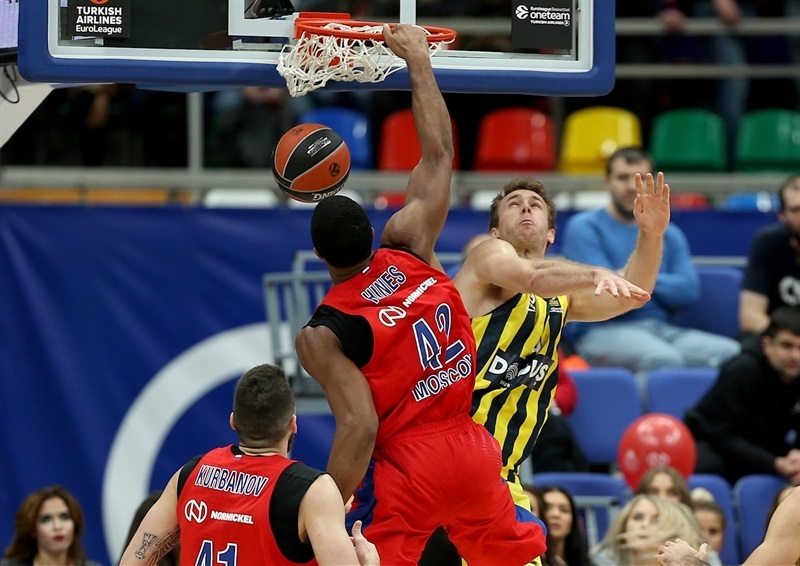 Rodriguez, De Colo and Othello Hunter each had baskets that put CSKA back ahead, but Fenerbahce locked down on defense, not allowing another basket for more than 3 minutes. Meanwhile, Datome got the roll on a three-pointer and Melli connected on a baseline jumper that extended the margin. Vesely’s alley-oop dunk made it 75-82 with less than 2 minutes left, but Hines snapped CSKA's scoring drought just in time, before Rodriguez drove for a reverse layup entering in the final minute of regulation. 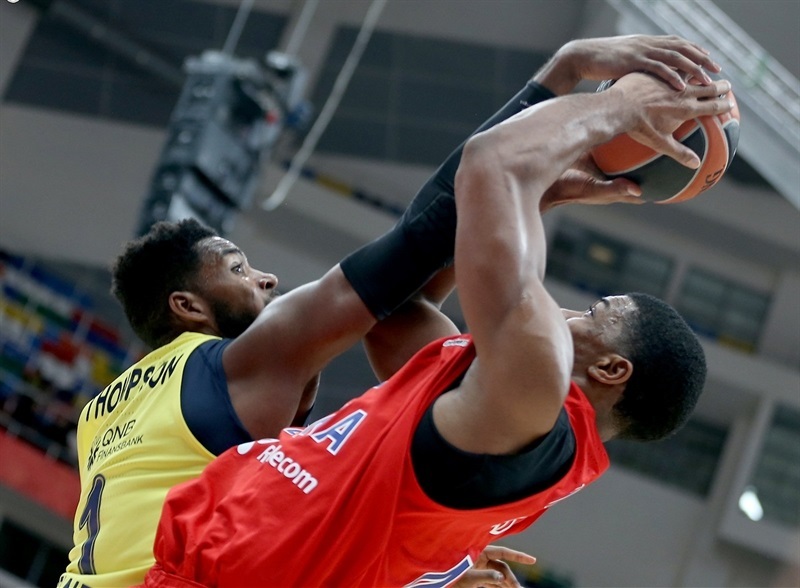 The hosts made another defensive stand before Rodriguez hit a corner three and a free throw - a four-point play - to put CSKA in front 83-82 with 15.7 seconds to go. Wanamaker split free throws on the other end, sending the game to overtime. In the extra session, Fenerbahce took control thanks to Vesely and his 3 offensive rebounds leading to a pair of put-backs. With Wanamaker's jumper in between, the visitors opened a 86-91 lead. But Rodriguez scored 5 points to get CSKA within a single possession, and De Colo's driving layup made it 93-93. Fenerbahce had 16 seconds for the final possession, but when Wanamaker missed a triple, Melli tipped the ball up an in with 0.4 seconds showing to lift Fenerbahce to a memorable win. "For me it was a tough game. We didn't start like we need to play this kind of game. Maybe we are tired from a lot of games, but we need to be more focused on the beginning and not start with minus-18. After that we showed character and this is good, but we need to start better. We played much better in the second half, but we gave up some offensive rebounds, and this made the difference. In the last minutes we missed two offensive rebounds they scored from, and we knew from the beginning that this would be the key. This made the difference." "We had a very tough game. We are very happy that we won, of course. I think we put ourselves in trouble. We started very well, but we let them come back. We know they are a very good team, one of the best. We ended up winning even though we complicated things again at the end of regulation and in the overtime. But now we are leaving Moscow with a win, so we are happy even though we have to improve. I think honestly we deserved the last shot. It's not personal but it's something that as a team we deserved. I'm happy that I scored it, but for the team, not for me."